We will walk through StubFacility‘s source specifically because its the most complicated of the three. Before we begin, though, let’s get a fresh copy of Cycstub (or follow along on the website). Feel free to rm the cycstub directory when we’re done (you can always get it back!). The StubFacility provides the minimal interface that an archetype that derives from cyclus::Facility must provide. We’ll go through both the header (h) and implementation (cc) files in conjunction, starting at the top. which includes most cyclus kernel headers as a convenience for new archetype developers. You’re more than welcome to include the specific kernel headers you need if you require a smaller executable. which simply states that the StubFacility inherits from cyclus::Facility. The constructor takes a single cyclus::Context argument. The context is the mechanism by which agents can query and otherwise communicate with the simulation environment. 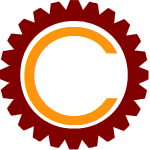 Because the base cyclus::Agent class requires a cyclus::Context argument in its constructor, all derived classes must pass the argument down its constructor chain, as StubFacility does with its cyclus::Facility constructor above. In short, the prime directive allows an archetype developer to use the Cyclus preprocessor to autogenerate many member functions that are required for Cyclus features related to initialization and restart capabilities. For a further explanation, see Using the Cyclus Preprocessor. Again, #pragma cyclus note is explained further in Using the Cyclus Preprocessor. Continuing along, we reach the final three member functions, each of which are defined on the base cyclus::Agent class and are overrode by the StubFacility. of the str method allows the StubFacility to customize its string representation, which is printed at a variety of cyclus::Logger logging levels, which is explained further in Logging. of the Tick member function allows the StubFacility to act during the tick agent phase. of the Tock member function allows the StubFacility to act during the tock agent phase.